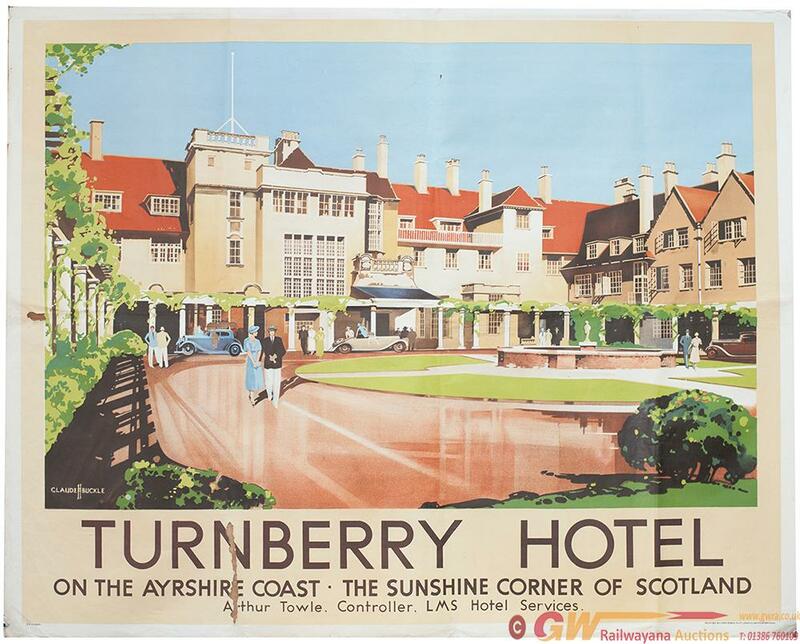 Poster LMS TURNBERRY HOTEL ON THE AYRSHIRE COAST by Claude Buckle. Quad Royal 40in x 50in, issued in 1935. Printed by Jordison & Co Ltd. In fair condition, it has some insect damage just above car and to bottom border. A rare Poster.